We guarantee our best rates for customers booking direct with us via this site with standard prices starting from £35 low season to £60 high season based on 2 sharing a double or twin room. » Check for special offers, availability, and book online. 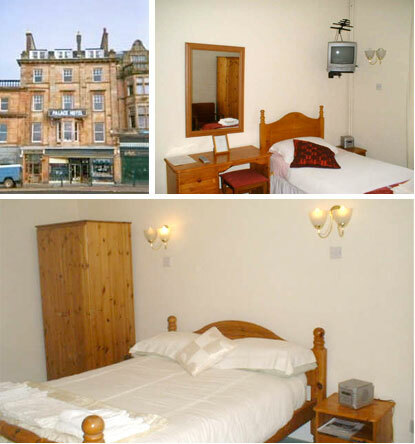 All bedrooms have a television with dvd player, tea and coffee making facilities, hair dryer, bedside cabinets, wall mounted bedside lamps, radio alarm clock and electric heating. Most rooms have a dressing table/writing desk with chair or stool. Meal options: For your convenience we offer a choice of room only or bed and breakfast with cooked breakfast, continental breakfast or packed lunches. Being so centrally located most bars and restaurants are within walking distance.